Welcome Toni V. Sweeney to my blog. Toni, Please tell us more about how you came to write Sinners. Suffice it to say writing a family saga isn’t easy. Whatever is said in the original book has to be maintained in all the others. It can’t be changed unless there’s a very good reason. If a character is taken on an ocean journey by his father and he’s five-years-old at that time, you can’t have another character state dogmatically in another book that he was twelve when it happened. Don’t think some eagle-eyed little nit-picker of a reader won’t catch it and promptly fire off an e-mail to your website, pointing this out. Same with spellings. A character’s name has to be spelled the same way throughout; if it’s italicized in one book, keep it consistently italicized in all of them. A person’s character may change, his faith, his philosphy may be converted—indeed, that’s the stuff stories are made of because they involve conflict—but unless you state specifically there’s hair dye involved or colored contacts, make certain his blond hair stays blond and his brown eyes brown. (Of course if it’s fantasy, you can totally change his appearance and have a plausible reason.) I always think of Stephen King’s example when he was writing Christine: A specific make of car drove into an alley, a different make of car came out. I did that once myself. Not with cars, but I had a character who was blond, only to suddenly become a brunet without explanation (or the use of Clairol for Men.) Thank Goodness for the delete/replace button! Family sagas are a lot of work because you have to keep track not only of the characters’ names and physical appearances, but also of their ages, especially if each novel encompasses a number of years. Sometimes it’s easier to make a tangible chart, a family tree or spreadsheet with all the relationships, ages, etc., so it can be referred to from time to time. Age plays a very important part in these stories so I had to keep close tabs on how old everyone was and when. 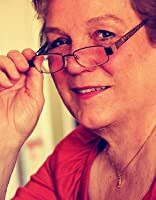 She is an Amazon reviewer, is in the 1% of reviewers for Goodreads, and in 2015 and 2016 was voted one of the Top 10 authors of those years by Preditors & Editors Readers Poll. In 2013, the Paranormal Romance Guild’s Reviewer’s Choice voted The kan Ingan Archives (Part Two of the Arcanian Chronicles) a Special Mention, and the following year, named the individual novels The Man from Cymene, and Space Studs, from the same series two of the Top 8 SF/fantasy novels of 2014. On the fourth floor, outside the hallway leading to the royal apartments, Kozlu waited for him. The old man looked him up and down disapprovingly, staring at his travel-dusty clothes. “Why should I? I’m only going to see my uncle.” His tone bordered on disrespect for the man who’d been his tutor as he’d been the margrave’s. “Aric, it’s more than that and you know it.” Kozlu’s reply held the knowledge he was speaking to someone who had no intention of listening. He started up the stairs, not looking to see if Aric followed. My current book. The Spear of Destiny, was inspired by a combination of circumstances which were not ‘typical’ of my “general” creative processes. I lived in Denmark for a number of years and had the privilege of meeting people who had been active members of the Danish Resistance Movement (mødstandsbevægelsen). during WW2. I have attempted to redress the balance a little by raising awareness and offering sincere thanks. I’ve kept close to the recorded facts as we know them, but I’ve altered the names: these patriots have earned the right to have their anonymity preserved. When the Danish billionaire Carsten Ree had the wreck of U-534 refloated and it was installed as a permanent exhibit in Liverpool’s Maritime Museum, the story almost wrote itself. The basis of the story appeared as my NaNo entry in November 2010, the end result of 30 days of madness and strong coffee! The research was more extensive than I’d needed for my previous fiction work but it was satisfying.